Handset manufacturer Huawei's all brand Honor launches Honor 8C smartphone on October 11. Prior to launch, the site TENAA got a glimpse of Honor 8C, along with its many specifications. Some of the major features of the Honor 8C are as follows. This handset will come with Snapdragon 636 chipset, 4GB RAM and two rear camera setup. Upgrade version of Honor 7C will be Honor 8C. Recall that Honor 7C was launched in March. Smartphone sales started in India in May. This handset is also equipped with two rear cameras and it comes with the Face Unlock feature. Explain that Honor 8C will be launched in China at the moment. 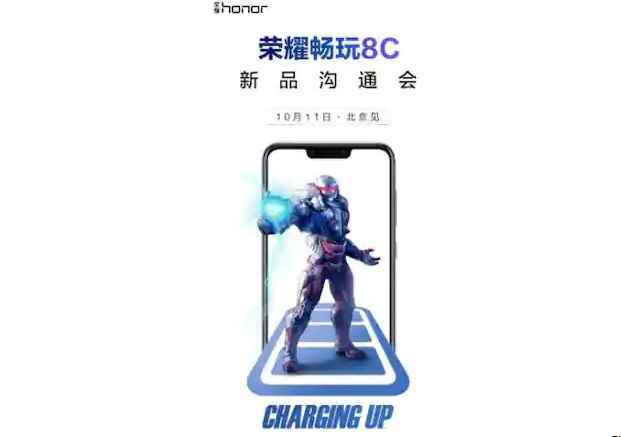 Honor website Weibo But convinced that Honor 8C will launch in China on October 11. The poster disclosed that this smartphone display of Honor could come with the Nokia design and fast charging support. Apart from the Chinese certification site TENAABut the model number-BKK-TL00 of Honor 8C has been seen. The Honor 8C is expected to be launched in Blue, Black, Purple, and Gold colors. Listing has shown that the Dual SIM Honor 8C Android 8.1 will run on an EMUI 8.1 screen based on Orio. It will have a full HD + display of 6.26 inches (710x1520 pixels). Its aspect ratio is 19: 9. Speed and multitasking can come with 1.8 GHz Snapdragon 636 Octa-core processor with 4 GB RAM. For graphics, Adreno 509 GPU can be used in this. For saving photos, videos and other essential things, 64 GB storage will be available, with the help of MicroSD card, the storage capacity can be increased to 256 GB. The Honor 8C can have two rear cameras, the primary sensor is 13 megapixels and the secondary sensor will be 2 megapixels. You will also get LED flash with dual rear camera setup on the back panel. An 8-megapixel front camera can be given for selfie and video calling. Now talk of connectivity. Honor 8C 4 Volt, WiFi 802.11 AC (2.4 GHz + 5 GHz), Bluetooth version 5 and GPS + GLONASS support. Honor 8C length-width can be 158.72 ~ CHECK ~ 75.94 ~ CHECK ~ 7.98 millimeters and weighing 167.2 grams. This smartphone can come with a 3,900 mAh battery for power backup.